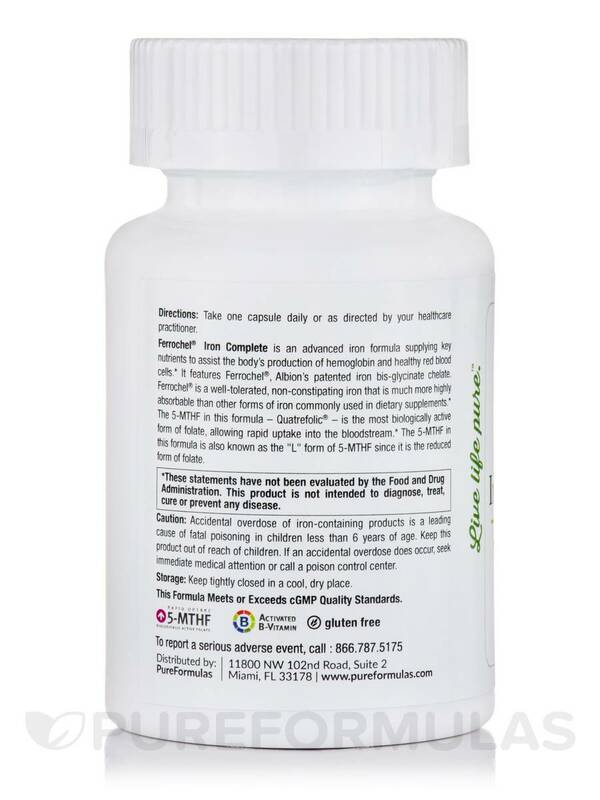 Ferrochel Iron Complete by PureFormulas is very easy to take and doesn't give an upset stomach. 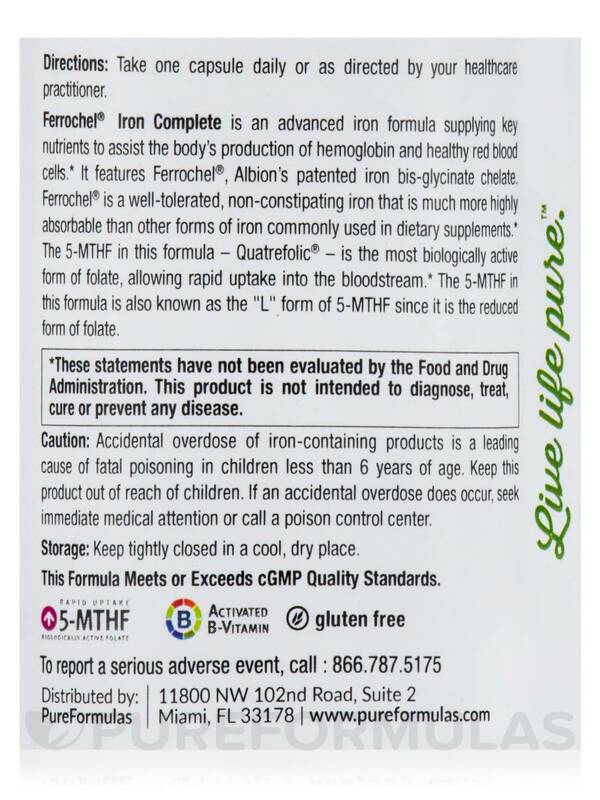 Ferrochel Iron Complete by PureFormulas doesnt taste bad and seems to help with my slight anemic condition. Get Potent Iron and Red Blood Cell Support! 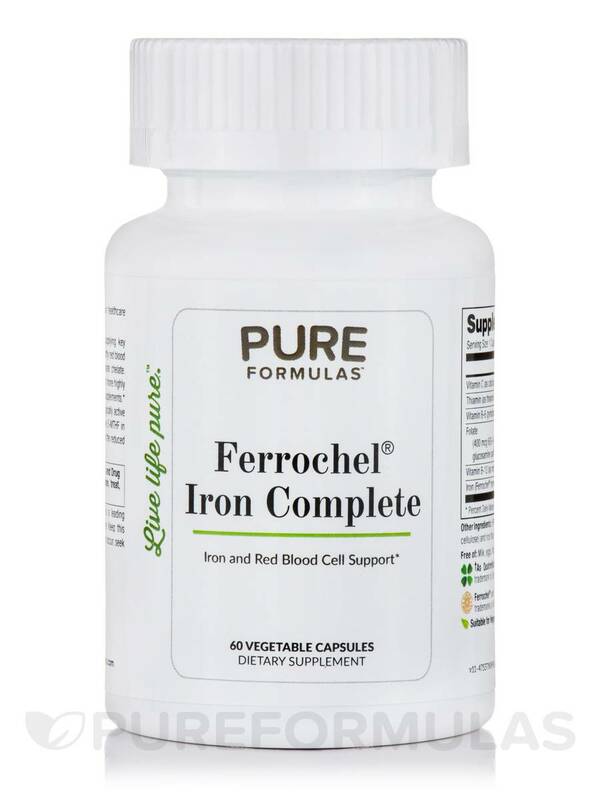 Ferrochel® Iron Complete from PureFormulas is an advanced iron formula supplying key nutrients to assist the body's production of hemoglobin and healthy red blood cells. It also features Ferrochel®‚ Albion's patented iron bis-glycinate chelate. This product is gentle on your digestive system‚ non-constipating‚ and highly absorbable. 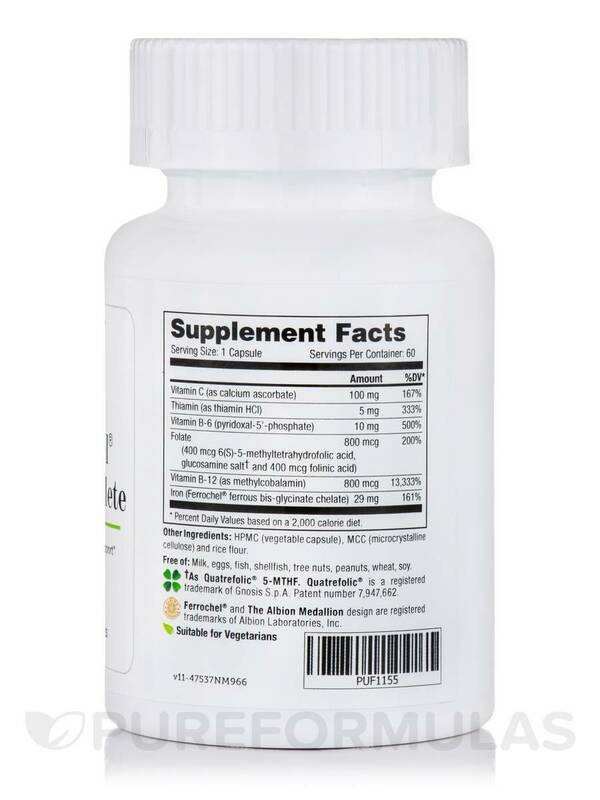 The 5-MTHF in this formula - Quatrefolic® - is the most biologically active form of folate‚ allowing rapid uptake into the bloodstream. The 5-MTHF in this formula is also known as the "L" form of 5-MTHF since it s the reduced form of folate. 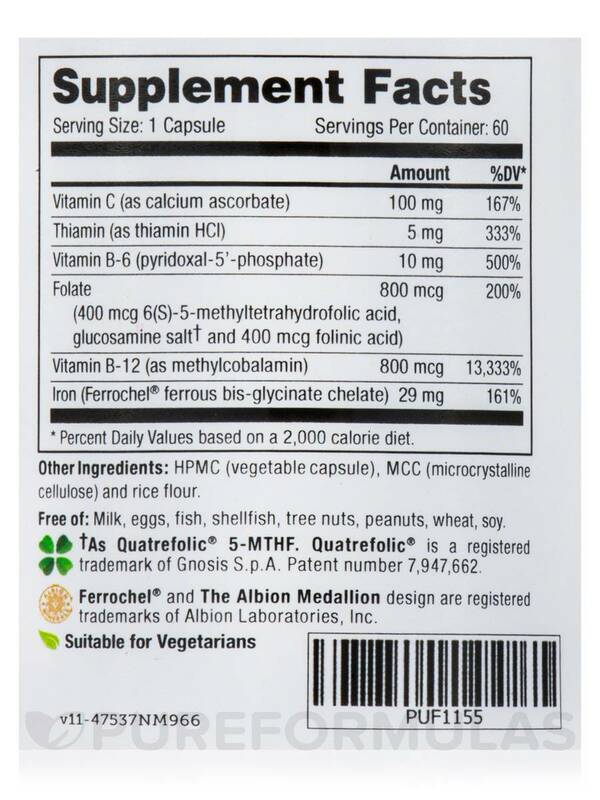 Other Ingredients: HPMC (Vegetable Capsule)‚ MCC (Microcrystalline cellulose) and rice flour. Free of: Milk‚ eggs‚ fish‚ shellfish‚ tree nuts‚ peanuts‚ wheat‚ soy. Suitable for Vegetarians / This Formula Meets or Exceeds cGMP Quality Standards. Accidental overdose of iron-containing products is a leading cause of fatal poisoning in children less than 6 years of age. Keep this product out of reach of children. If an accidental overdose does occur‚ seek immediate medical attention or call a poison control center. No bad taste or reflux. 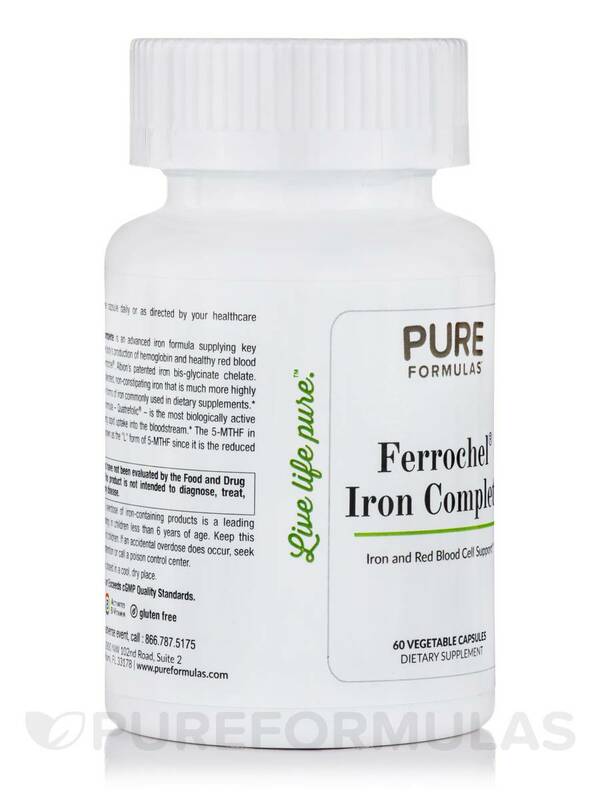 Ferrochel Iron Complete by PureFormulas has everything in an iron supplement I need and more. 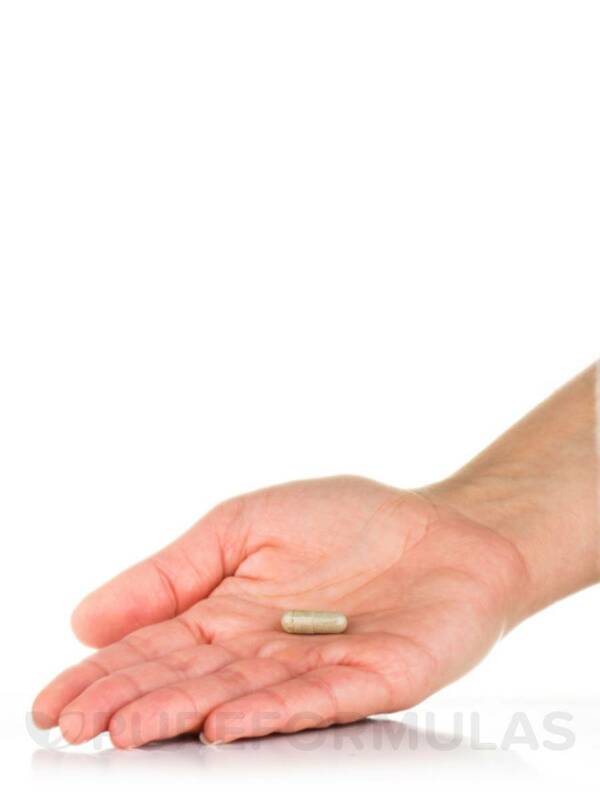 Small capsules. no stomach upset. 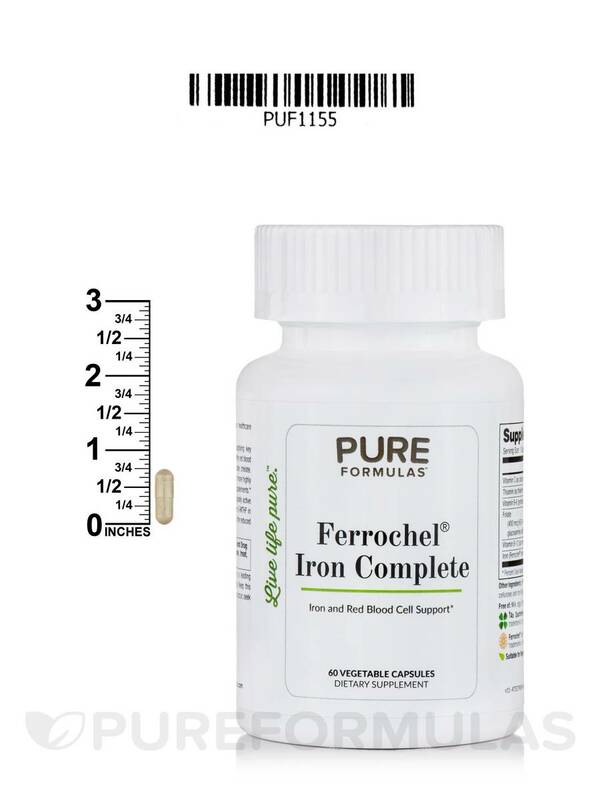 Could you please tell me where the supplement Ferrochel Iron Complete is manufactured (country). Hi Judith, this product is manufactured in the United States.